At the end of June, kidney failure claimed my darling kitty. He’d been my companion through some trying times, and as pets do, loved me unconditionally through them. Including DD1 and DD2 that he was teaching how to pet him properly. I was not ready to get another cat, but our remaining kitty was suddenly quite lonesome as DH and I work all day and the girls are in daycare. Lonely to the point of launching himself through the house the moment someone came home to greet them, and then sticking to them like glue for the rest of the night. We decided to welcome another addition to our family, and our first stop was the Humane Society. I was originally looking for a kitty who was a couple of years old but still liked children. 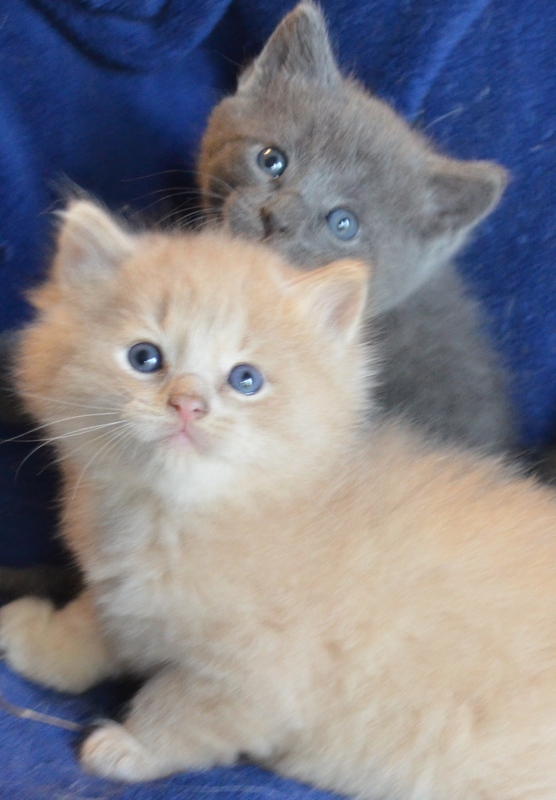 Our search was going poorly when a co-worker told me about a friend of hers with kittens. I wasn’t sure I could tolerate kitten antics, but of course, a few kitten pictures later and we were deciding it was fate as we made arrangements to go out and see them. There is nothing quite like kitten silliness to bring a smile to your face. DH and DD1 originally wanted the grey one, but we agreed to go out and meet them. 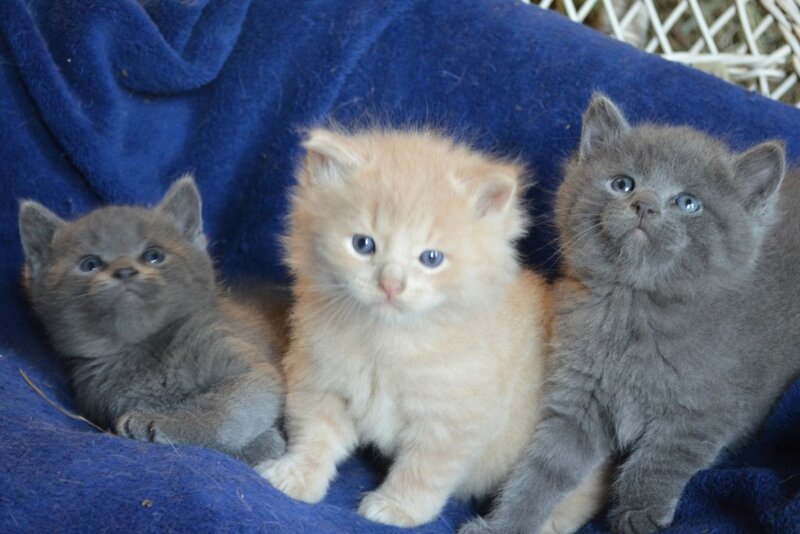 These have to be the healthiest, most robust “barn” kittens I’ve ever seen. The little girl wanted nothing to do with us, but both boys were pretty friendly. After a few minutes, the orange one rubbed up against DD2 and let her pet him. Over the next half hour, he climbed over the girls, played with them, and let them pet him. He came home with us. I am surprised how much he loves to cuddle. I had thought a barn cat would be standoffish, but he cries to get picked up. And he’ll cuddle into the crook of your arm, on your lap, on your chest . . . wherever he can find a spot! While I wasn’t sure I was emotionally ready for another kitty, it’s amazing how quickly your heart opens up when you have a little ball of fluff purring happily on your lap. I still my miss my kitty a great deal, but kitten antics can’t help but make me smile. Welcoming your new addition to the family!